Introducing our upgraded Online Banking Services! Please ensure you are using compatible browser version and operating systems. Download our Mobile App today and give Mobile Deposit a try! Cancer unfortunately affects nearly everyone. There is hope, though. Now - more than ever before - there are viable treatments and paths to remission not available even just a few years ago. The Relay for Life event - signature fundraiser for the American Cancer Society - is a walk/relay staffed and coordinated by volunteers in more than 5,200 communities and 27 countries. 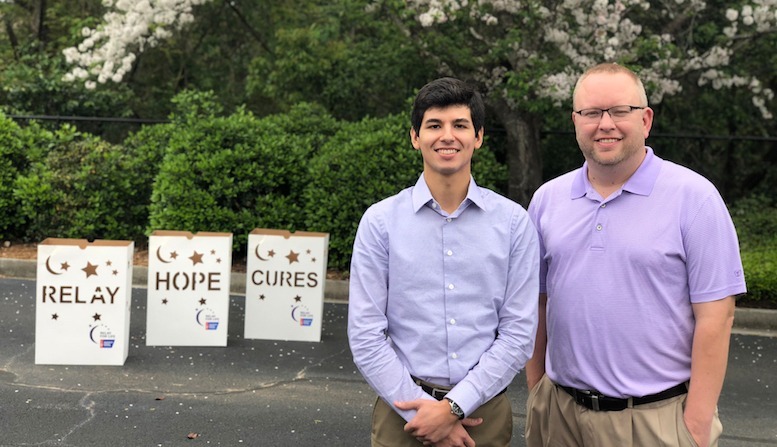 South Georgia Banking Company's own Adam Simmons and Brad Christian have taken on the task of volunteering as Accounting Chairs for this year's Relay for Life in Tift County. Essentially the two are teaming up to handle the financial aspects for the event. This includes receiving and processing all donations, fundraiser money etc. and then making sure those donations are sent to the Relay for Life headquarters. Click the link to find out more about not only Tifton's Relay for Life event (being held April 26th at the E.B. Hamilton Complex at 7 PM) but also to read more about Adam and Brad's involvement. South Georgia Banking Company is consolidating the Ashburn Branch locations in Ashburn, Georgia. The Industrial Branch, located at 131 Industrial Drive will be relocating and consolidating with the Ashburn Main Branch at the close of business on Thursday, February 28, 2019. If you have any questions, please do not hesitate to call an SGBC representative at 1.888.782.4211. South Georgia Banking Company is thrilled to have Jared on board as a Commercial Lender. We are proud to continue to serve our communities with quick, local decision making, and experienced, dedicated professionals. Stop by the 2nd Street location and welcome Jared to the team! Click to link below to learn more about Jared's family, community involvement and more. In person, online, or on the phone − you can expect great service. So please, take a moment to let us know how we’re doing and sign up to receive our monthly e-news.